Organizations leverage data and record keeping at all levels of their organization. Today’s business world demands that companies collect, generate and analyze massive data sets on a daily basis. They use this information to understand more about their operations and use data-driven decision making to optimize performance. Without access to their data, everything slams to a halt. Applications don’t work properly, customers can’t place orders, employees get upset because they have to stay late to get their work done, and the long-term damage can be significant. Protecting data from loss is one of the most important priorities that a company can have these days. Companies face several consequences if this information gets lost in a form that is understandable by attackers. Downtime is the first problem that they run into. They can’t bring their systems back up until they get the data back, or else no one can access work that’s already been done. Manually entering this data could prove impossible, depending on how big the data set is and whether a backup is available. If the organization doesn’t have a proper backup and recovery plan, then the downtime is going to last much longer. Every second that the systems are down is another second that business operations are disrupted. For some companies, the financial loss could be millions of dollars per hour. If the financial loss is great enough, the business itself could find itself in bankruptcy or otherwise restructured. Lawsuits are another consequence of data loss. When a company handles sensitive data, such as personally identifiable information or medical records, customers may hold the organization legally responsible for any damages related to a breach. For example, a person may need to cancel their debit and credit cards and pay for credit monitoring to keep an eye on the unauthorized use of their information. If someone uses their accounts to place orders, their bank may not refund them the money for some time. This situation can lead to other issues, such as missed payments, bounced checks, overdraft fees and other adverse actions. The damages related to such a case can be significant, especially if thousands or millions of customers are impacted. Disaster recovery is not a simple process. 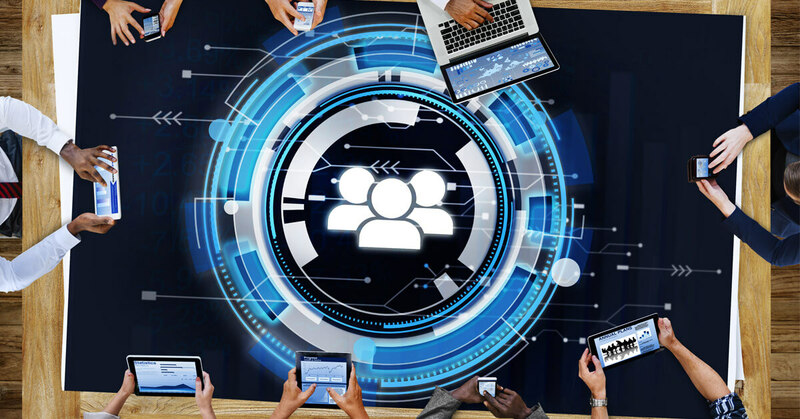 Companies have to have a lot more planning than setting up an automatic backup solution and hoping that it works properly during the emergency. Everyone needs to know who they should contact and the coordinators for a data loss disaster. The company needs a way to bring critical systems up as quickly as possible without running the risk that the hacker is going to exploit it in the exact same way. A full investigation into how the breach occurred and what they need to do to fix the issues is important. In a worst-case scenario, the organization may end up without working backups and lose years of data. While some of it might be pieced back together from various sources, thousands of hours of work has to be repeated. These are business-ending mistakes. One of the biggest threats to a company’s data is a cyber attack, especially if they operate in an industry or market that’s higher risk. For example, the financial and medical fields often find themselves the targets of opportunistic and sophisticated attacks. However, this is not the only threat that organizations must prepare for. Natural disasters come in many forms, from floods to fires, and they have a devastating impact on businesses. Data centers that are entirely in a single location are particularly at-risk, as a natural disaster would take out the primary and the backup equipment. Finally, equipment failure can take out critical databases. Hard drives fail eventually, so it’s important to acknowledge that fact and work around it to avoid data loss. A backup and recovery plan can get a business back up and running after any of those three threats. This plan looks at all of the risk factors present and has a set procedure in place that minimizes data loss and downtime. An IT company can help with the proper setup and procedures for this disaster recovery plan. They have the first-hand experience with the best methods to bring systems back up after each type of emergency. When companies tap into this information, they better prepare themselves for potential problems in the future. While general-purpose recovery plans are widely available online, they don’t take into account an organization’s unique infrastructure or the particular environmental challenges that face them at that location. For example, the emergency response plan for a data center that’s sitting in an area prone to flash flooding is going to be much different than an office that is in an area with wildfire risk. Data loss is bad news for everyone involved. These digital assets are the fuel that keeps modern companies in business, so it’s important to handle it with an appropriate level of care. A backup and recovery plan is one of the best tools to minimize data loss and improve the security of the organization. Cybersecurity is becoming increasingly important with the prevalence of ransomware attacks. Ransomware is a type of malicious software that hackers design to exploit vulnerabilities within an infrastructure, hold data for “hostage” and demand compensation for its release usually in the form of Bitcoin. It works by encrypting documents across networks or an individual desktop and has been highly effective due to several factors, including low security awareness and weakness in security. Train your employees. Without proper training, your employees can be a weak spot that hackers can exploit. That’s because a breach is as easy to accomplish as an employee clicking a link that he may not realize is fake or malicious. Avoid ransomware attacks by training your employees on ransomware identification techniques, including how to spot vulnerabilities and safety precautions to take, such as changing their passwords frequently and using two-step authentication. Update your software on a regular basis. It’s important to keep your software updated with the latest security enhancements. Minimize the breach of your infrastructure by taking advantage of automatic security updates. Leverage experts. When you don’t have the right setup or expertise on your staff, it can be challenging to deter ransomware attacks. However, you can still get the help you need by leveraging expertise from IT companies, such as GXA. IT companies can help you put together a contingency plan to prevent ransomware attacks. Moreover, they can assist you with training employees, too. If you’re already a victim of ransomware, you don’t want to panic. Instead, take the necessary steps to recover from the attack. As soon as you discover your computer has fallen victim to a ransomware attack, disconnect it from all external drives, networks or other computers that it may be connected to in order to isolate the attack to one device. Take a picture of the ransom note with your mobile phone or a camera so that you have evidence when you file a police report. Also, avoid paying the ransom. There is no guarantee that you will get your money back. Try to remove the ransomware from your device by using anti-malware or antivirus software and use tools to recover any deleted files if possible. Get your IT department or consultant involved to handle the issue. When the issue is resolved, make sure you review protocols, including how you back up a files and any infrastructure vulnerabilities. Avoiding ransomware calls for preparation and making smart decisions. From training employees to updating software automatically on a consistent basis, your team has several options for deterring a ransomware attack. Also, consider taking advantage of the expertise of a professional IT team with experience in ransomware attacks and cybersecurity protocols, such as GXA. GXA helps clients reduce their infrastructure vulnerabilities to mitigate ransomware attacks by applying several best practices, including devising a cybersecurity plan that’s modernized and providing data and network security. By having a plan in place, you can keep ransomware attacks at bay. More and more businesses are becoming victims of cybercrime as the cyber threat landscape continues to expand. Stopping cyber criminals is a full-time job, and threat intelligence analysts employ a full toolset to prevent companies from being breached. Analysts are trained to look for IoC’s or Indicators of compromise. Whenever someone does anything on a network or computer, they leave behind a digital trace in the form of artifacts. Most artifacts are benign, but indicators of compromise are left behind when specific actions are taken that are out of the ordinary, like modifying the registry or installing programs that then call out to the Internet for other programs to download. Analysts use sandbox software like virtual machines and applications that take a before-and-after snapshot of the system to see if a software is safe for install. The application lists all of the changes made to the system, and anything out of the ordinary is flagged for further investigation. Another way to check for cyber threats is through the traffic entering the network. Analysts use tools like Wireshark to examine incoming and outgoing traffic. Whenever the software sees traffic that is abnormal, it flags that traffic for further review. Thankfully, a lot of websites are cataloged as safe or unsafe which makes the job easier for analysts. Protecting yourself from cyber threats is easier than you think. Your first step is to determine what you have that would be of value for hackers, like your data. Once you know, create a backup and data recovery plan. Hackers rely on poor or non-existent backup solutions to force businesses to pay ransomware demands. Consider an endpoint solution that has active scanning of incoming and outgoing traffic, also called an intrusion detection/intrusion prevention system. Endpoint protection software with real-time access to zero-day malware and virus definitions is important too. Finally, training your staff on how to handle potential phishing attempts and how to safely access the Internet is the number-one way to prevent infections and attacks. In most cases, the human factor is how hackers get inside the network. If you adopt a defensive, in-depth framework, you greatly increase your chances of surviving a cyber attack. Every organization has plenty of reason to safeguard its precious customer, client, and vendor data — but if your organization must comply with the Health Insurance Portability and Accountability Act of 1996 (HIPAA), then your entire future could hinge on how well your IT system protects sensitive financial and medical information. Failure to comply with HIPAA requirements can incur devastating fines and ruin your reputation. That’s why you want to recognize the potential failure points in your current IT system and implement smart practices to button them up. HIPAA aims to protect patient confidentiality by establishing and enforcing rigid standards for the sharing of data such as medical records, doctor visits, financial transactions, Social Security numbers, credit card numbers and other sensitive personal information. Even an unintentional stumble in the securing of this data can cost you up to $50,000 per infraction, with potential penalties totaling up to $1.5 million per calendar year. Even if your organization could easily weather such burdens, it may not survive the resulting lack of trust from your clientele should the breach or violation go public. You absolutely must do whatever it takes to secure your sensitive data — and that means securing your IT system. Unfortunately, there are many potential failure points in practically any enterprise-level IT system, permitting abuses both from without and from within. An outdated firewall or operating system can be breached by malware and hacking attempts, while data transferred to external devices can get lost or fall into the wrong hands. An unscrupulous employee can use the data for evil ends; even a trusted team member can accidentally leave the data open to public view. Improving preventive security practices – Equip your IT system with vulnerability scanning so you know where its weak points lie. 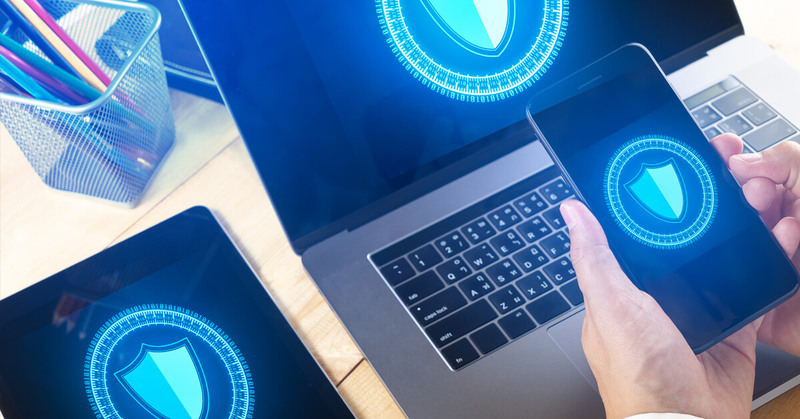 Use a DNS layer enterprise security system to help your employees steer clear of malicious re-directs and malware exploits. Invest in automated security updates so your system can ward off all the latest threats. Encrypting sensitive data – Encrypting files, folders, drives and even entire servers can help prevent the bad guys from seeing any data they shouldn’t. Many programs offer AES-256 encryption, the same level used by the U.S. government to protect its information. Controlling employee access – Assign a centrally-controlled Unique User Identifier to each person who needs to access sensitive information. This not only protects the data against unqualified personnel, but it also allows you to know exactly who is viewing which documentation. It also enables you to cancel that access at any time. Implementing automated logoffs – If it’s mobile, it can get lost or stolen. If you absolutely must use laptops or other mobile devices, set them so that they log the user out of the system automatically after the shortest possible period of non-use. Having the ability to wipe data from mobile devices remotely is another reassuring option. Using secure off-site storage – Even encrypted files can still be physically made off with. If you want to ensure that your data is safe from physical theft, maintain it on a secure off-site server. That way, if an unscrupulous person steals a laptop or other device from your organization, he won’t actually be in possession of any sensitive records. If you’re like the vast majority of enterprises, you can’t afford HIPAA violations. While you’re updating your other office and employee practices to keep those violations from occurring, take the essential extra step of making your IT system as HIPAA-friendly as possible. Think of it as a form of preventive medicine! At GXA, we help medical providers in the Dallas Fort-Worth area become and remain HIPAA complaint. If you’re concerned about your practice, get a free IT Assessment, and learn how GXA can help protect you and your patients’ data from internal and external cyber threats. Data Remanence: Is It Putting Your Business At Risk? During the normal course of operations for any business or IT company, technology is often upgraded, replaced or reformatted. Residual data that can be recovered is called data remanence and can often expose sensitive company data. 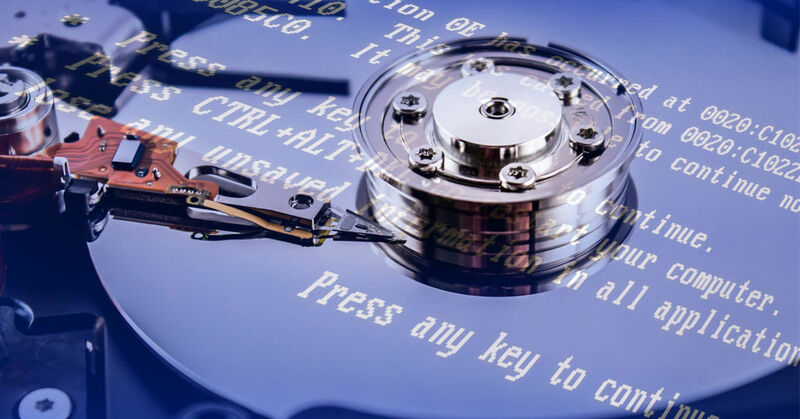 While security protocols require companies to properly delete files by wiping or even degaussing, it is also a good practice to fully encrypt drives or other devices before a huge data overhaul to make all files unreadable without a specific security measure. Not taking these safety measures can put highly sensitive data in jeopardy. Find out how to mitigate these risks. Easy Is It to Recover Overwritten Data? If you or your IT consulting company have used security tools to overwrite data, it is nearly impossible for someone to recover the data. However, it is important to note here that you should be wiping the data during this process, not deleting it, which is where the discussion about data remanence really begins. This entails using specially designed wiping tools that will do things such as look for leftover hidden files, restore the functionality of your operating system and, finally, provide a certificate of validation that all of the data has been wiped. end this process, we suggest using a wiping tool that will overwrite your data three times: first with all zeros, second with all ones, and third with a pseudo-random pattern generated by the software. After wiping your company’s devices of all data in the manner listed above, understand that there still exists certain risk considerations, the biggest one being whether or not the device was receptive to the overwrite. Your company’s data can be compromised if the device is not receptive to the overwrite due to unusable tracks in a disk drive. If you have previously stored data on a portion of your device that has developed an unusable track, it may be difficult to completely wipe that information from the device due to the software’s inability to access it for the overwrite. To mitigate this risk, check all devices for unusable or damaged areas before uploading sensitive data onto the disk, and once you identify an unusable track, discontinue use of the device. If you’ve find that the device is not receptive due to this issue, try degaussing or destroying the data. As today’s digital landscape changes to an environment based on cloud computing, data security becomes increasingly more important. At every stage of data storage, regardless of which service you are using (SaaS, PaaS, or IaaS), one basic risk is that the data can be exposed to unauthorized parties. 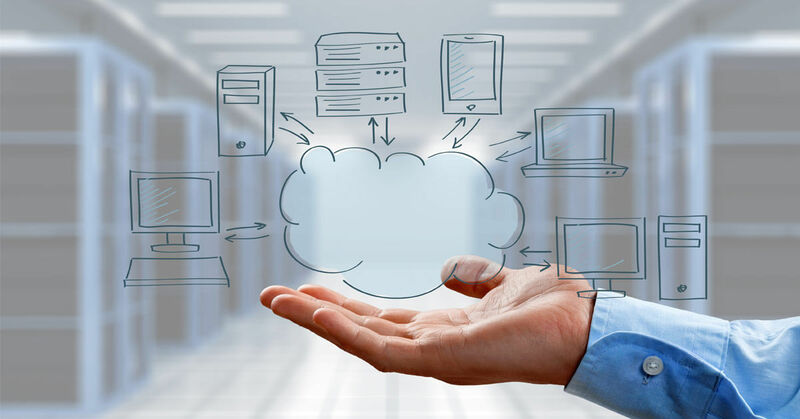 What is striking about the connection between cloud computing and data remanence is that most cloud servers do not mention anything about data remanence in their services. For this reason, mitigating the risks of data remanence in cloud computing means contacting your IT solutions company and cloud computing server to understand how they can work together to ensure that no important data is inadvertently released to third parties. By informing yourself and your colleagues of these cybersecurity protocols and risks and following the steps above to mitigate potential pitfalls, data remanence can be managed and does not pose a major threat to your company’s sensitive data.